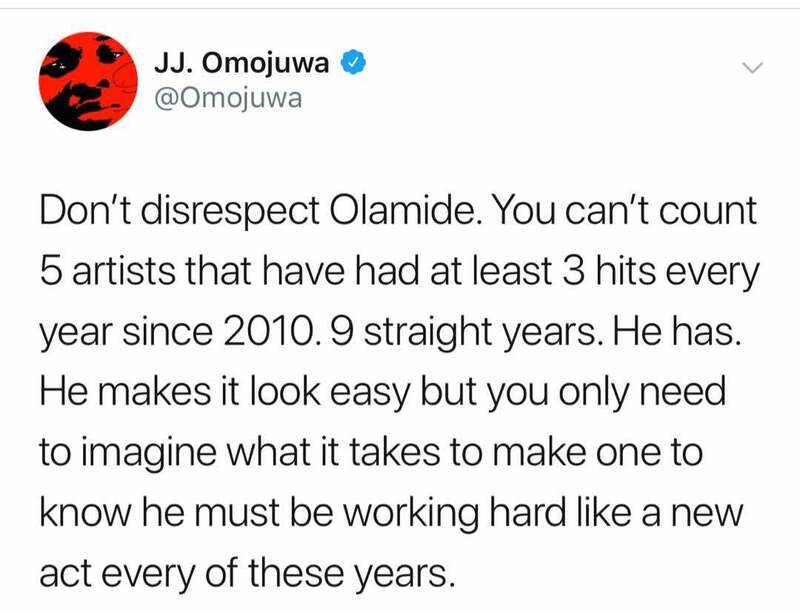 If you are a fan of Olamide, you'll know he's very humble and not the type to do comparisons. 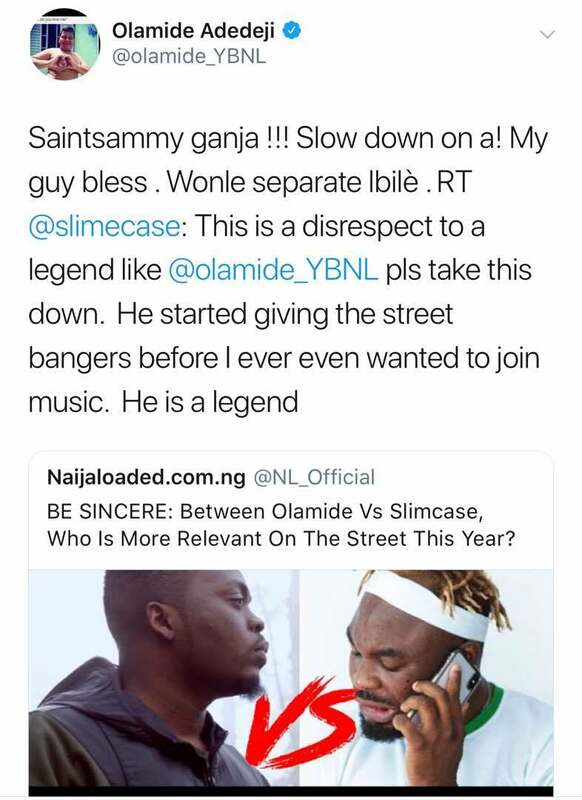 Yesterday, a post comparing him to rising street act, Slimcase made rounds online. 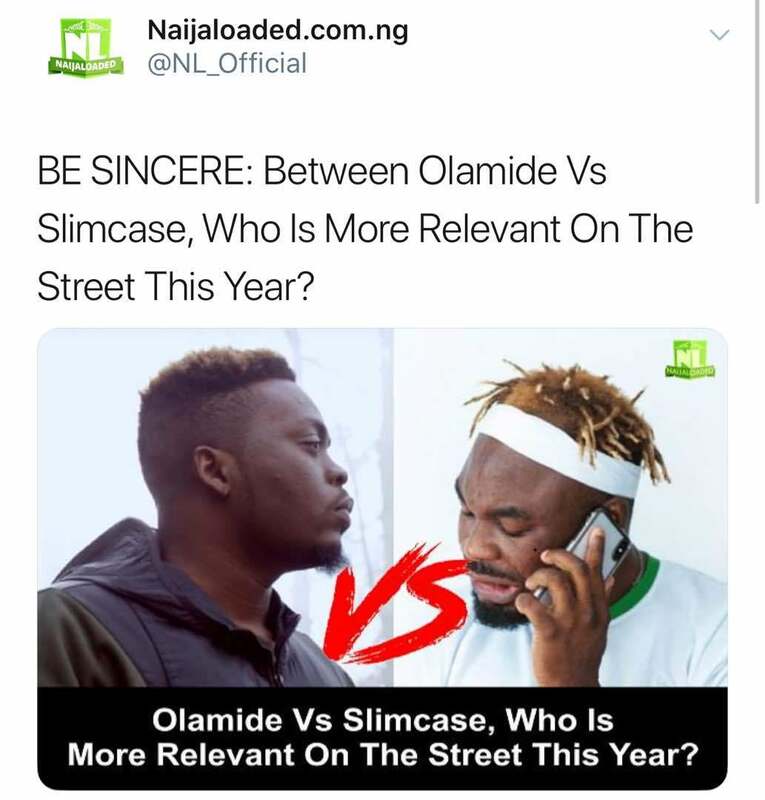 The post read; "BE SINCERE: Between Olamide VS Slimcase, Who is more relevant on the street this year"
As expected fans of Olamide were quick to rubbish the post and point out that it's disrespectful to compare an upcoming artist like Slimcase to Olamide who has played a very important role to the Nigerian music industry. 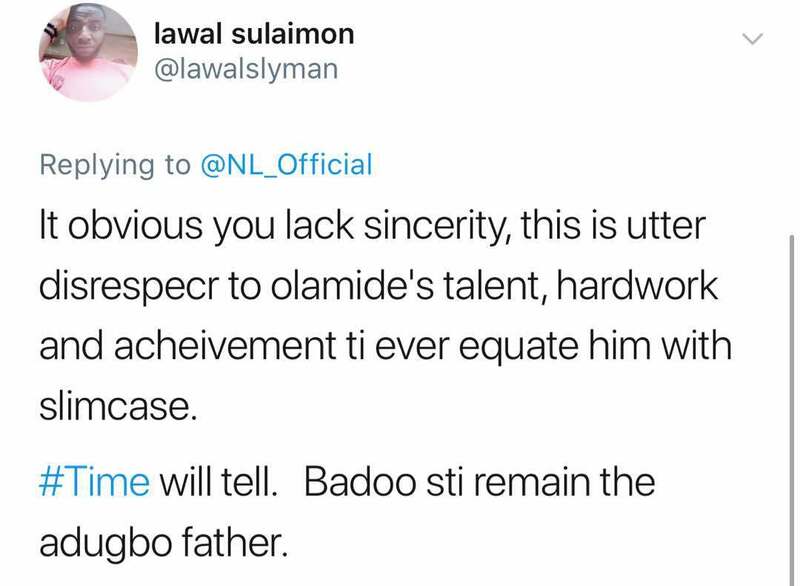 Slimcase himself also had this to say; "This is a disrespect to a legend like Olamide, pls take this down. 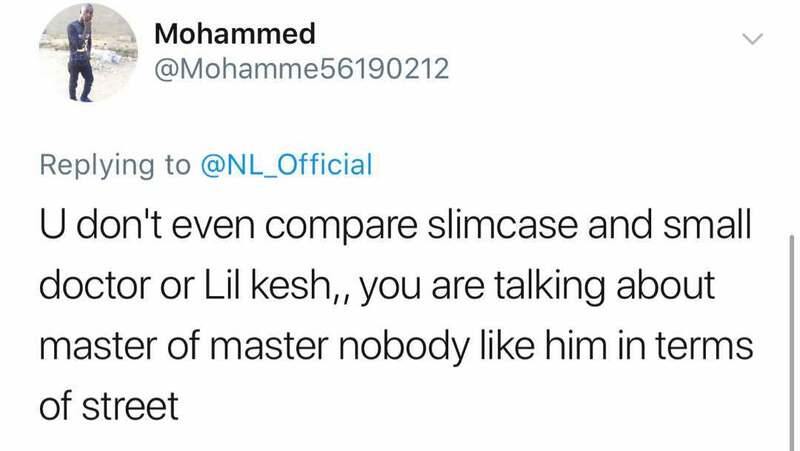 He started giving the street bangers before i ever wanted to join music. 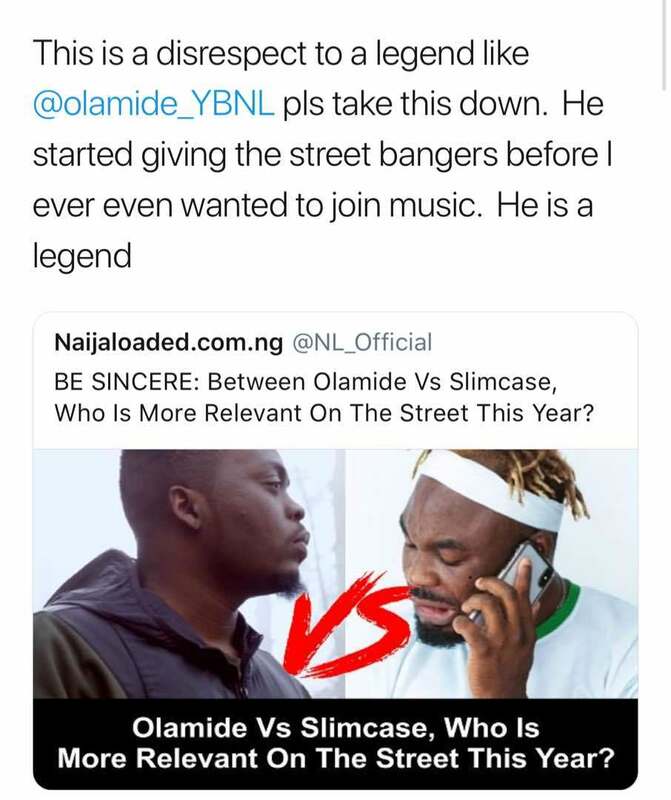 He is a legend"
Olamide, being his humble self then responded saying no one can separate the street. 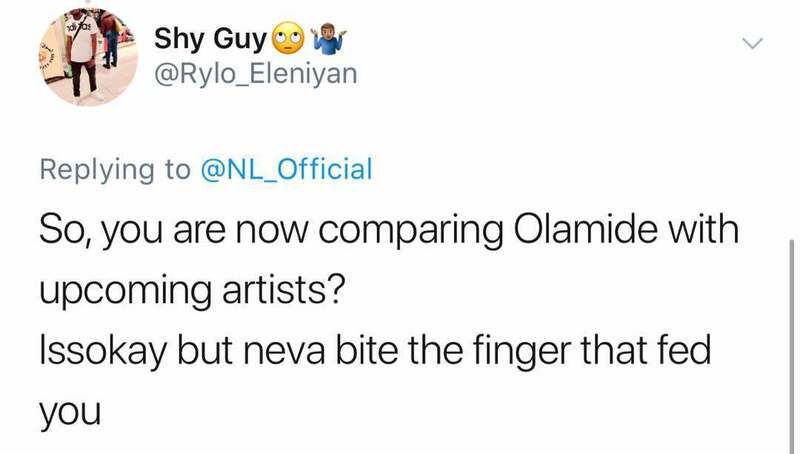 "Saintsammy ganja !!! 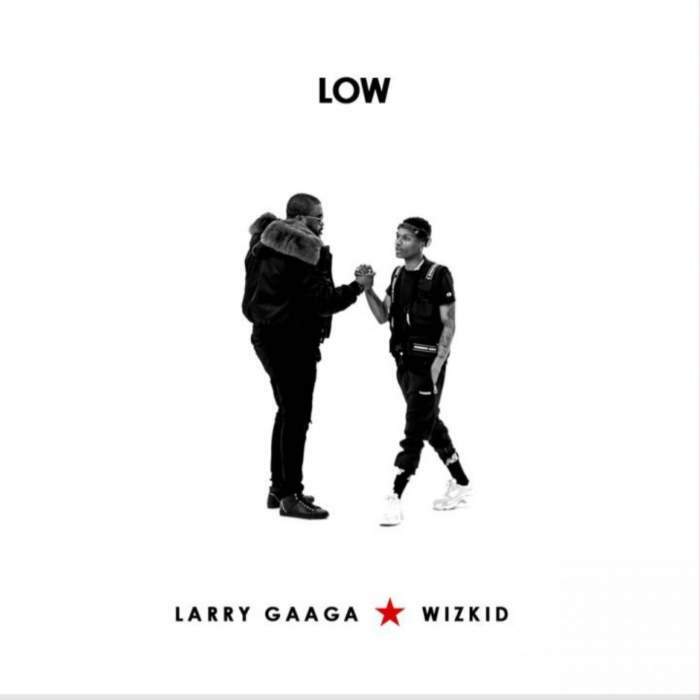 Slow down on a! 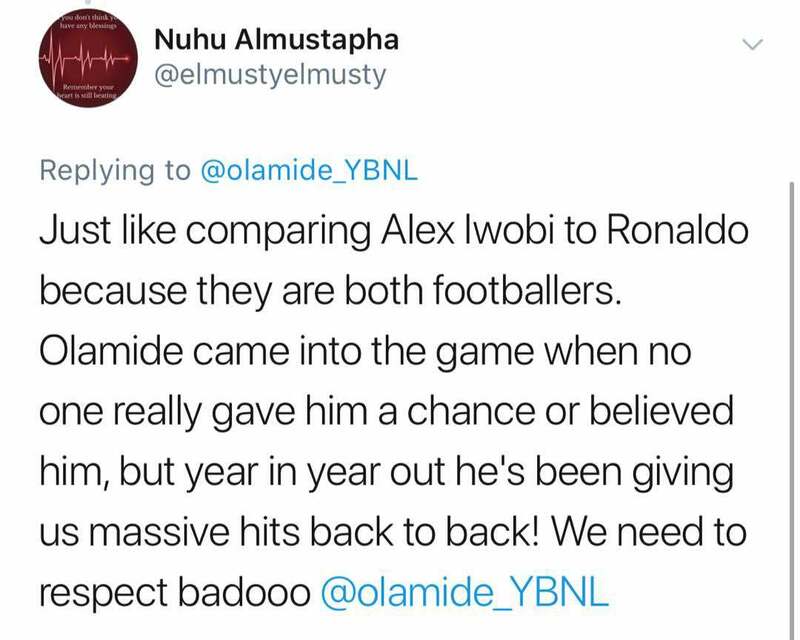 My guy bless. 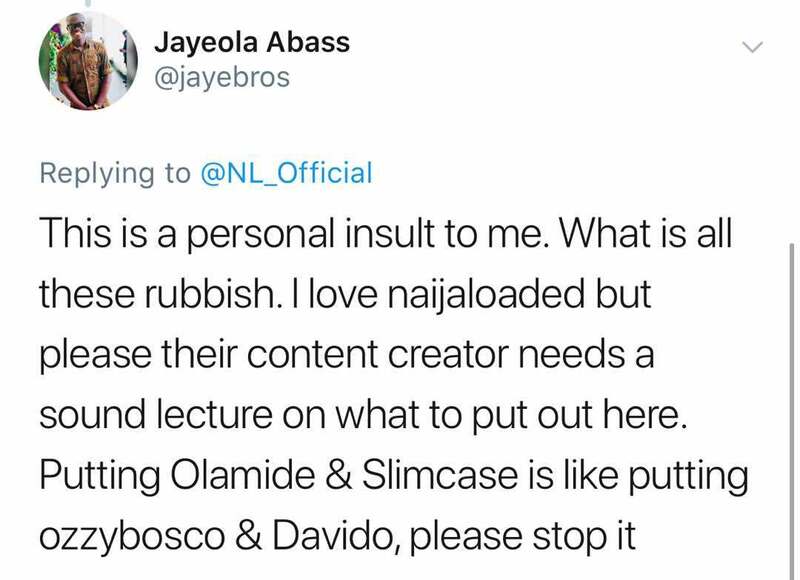 Wonle separate ibile" He responded to Slimcase's tweet.